Bad credit can be both stressful and costly, but it's not the end. As hopeless as the situation might seem, bad credit won't last forever, and there are things you can do right now to begin ​improving your credit score. To start working on your credit score, you have to know exactly what you need to work on. Since your credit score is based on the information in your credit report, the first place you should go to improve your credit score is your credit report. Order copies of your credit reports from each of the three major credit bureaus to identify the accounts that need work. 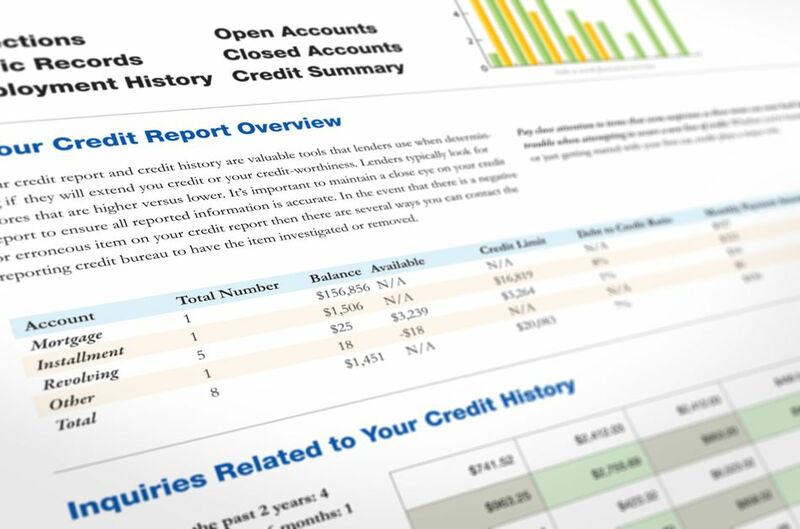 You can get free copies of your credit reports from each of the major bureaus from AnnualCreditReport.com. You have the right to an accurate credit report. This right allows you to dispute credit report errors by writing to the credit bureau or the creditor who listed the account on your credit report. Errors can hurt your credit score more than you might think. For example, an inaccurately reported late payment could bring your credit score down 60 to 110 points depending on the other information in your credit report. Pay cash for purchases instead of putting them on your credit card to minimize the impact ​on your credit score. Even better, if you can avoid the purchase completely, use that money to reduce your credit card balance. Lowering your balances helps improve your credit score. Your payment history makes up 35 percent of your credit score. The further behind you are on your payments, the more it hurts your credit score. Get caught up on your credit card payments before they are charged off or sent to a collections agency. Talk to your credit card issuer about your missed payments. They may be willing to re-age your account so your credit report shows your account has always been paid on time. As long as you're in credit repair mode, you should avoid making any new applications for credit since credit inquiries can hurt your credit score. Opening a new credit account also lowers your average credit age, another action that hurts your credit score. You might be tempted to close credit card accounts that have become delinquent, but wait. Before you close an account make sure it won't negatively affect your credit. For example, closing a credit card with a balance can hurt your credit score. It's very rare that closing a credit card will improve your credit score. Leaving an account open also can benefit your credit score if you're making timely monthly payments. They might be the last people you want to talk to, but you'd be surprised at the help you might receive if you call your credit card issuer. If you're having trouble, talk to your creditors about your situation. Many of them have temporary hardship programs that will reduce your monthly payments until you can get back on your feet. The amount of debt you're carrying is 30 percent of your credit score, and you'll have to start paying down that debt to improve your credit situation. Get creative about coming up with extra money to pay off your debt. For example, you could drive for a ​ride-sharing service or sell some things on an online auction website for extra cash. It will take some sacrifice, but the financial freedom you gain—and the credit score points you gain—will be worth it. Resources, like consumer credit counseling, are available to assist you. If you are overwhelmed by your credit situation, seek professional assistance. You can locate a credit counseling agency through the National Foundation for Credit Counseling. You also can refer to your credit card billing statement for a phone number to call if you're experiencing trouble making your payments. Patience isn't a factor that's used to calculate your credit score, but it's something you need to have while you're repairing your credit. Your credit wasn't damaged overnight, so don't expect it to improve in that amount of time. Continue paying your debts on time each month, and over time you will see your credit score improve. It is okay to put cash into a savings account for a major purchase, just don’t neglect the regular bills to do it.